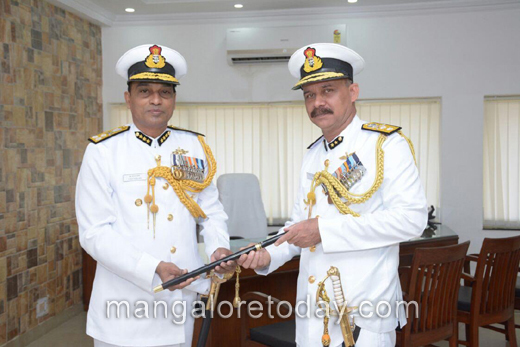 Mumbai, 30 Aug 2016: Inspector General VS Pathania, TM took over the charge as 13th Commander of Coast Guard Region (West) on 30 Aug 16 at an impressive Ceremonial Parade held at the Coast Guard Regional Headquarters, Worli. 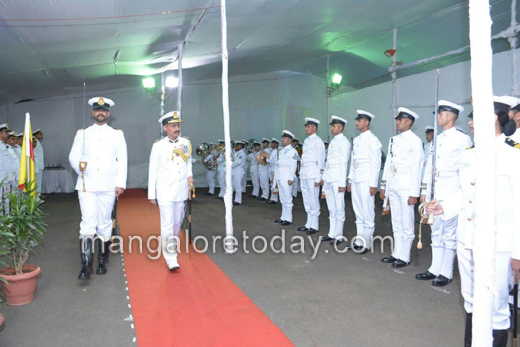 The Flag Officer joined Indian Coast Guard on 17 Jan 1986 and is an alumnus of the Defence Service Staff College, Wellington and National Defence College, New Delhi. He is a helicopter pilot decorated with Tatrakshak Medal for Gallantry and Director General Indian Coast Guard Commendation. The officer has undergone specialist course in Search and Rescue and Port Operations with US Coast Guard. 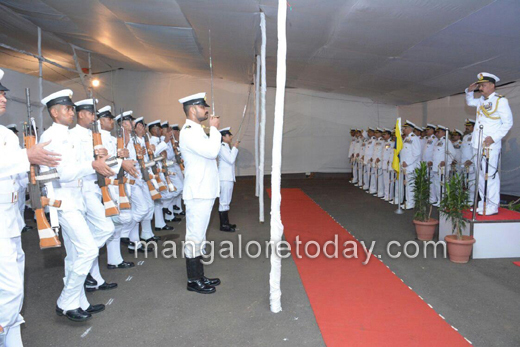 The Flag Officer has commanded Coast Guard Region (North West) at Gandhinagar and held prominent assignments at Coast Guard Headquarters including Command of Aviation and Afloat units. Main priorities of the Flag Officer include strengthening the Coastal Security through coordination with all State and Central Agencies and to make the seas safe for all fishermen and merchantmen on West coast of India.